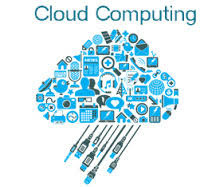 Cloudera, Inc, the provider of the leading modern platform for machine learning and advanced analytics, announced the release of Cloudera Altus, a Platform-as-a-Service (PaaS) offering that makes it easier to run large-scale data processing applications on public cloud. The initial Altus service helps data engineers use on-demand infrastructure to speed the creation and operation of elastic data pipelines that power sophisticated, data-driven applications. ● Managed service for elastic data pipelines - Cloudera Altus is a PaaS that allows data engineers to easily and quickly provision Apache Spark, Apache Hive, Hive on Spark, and MapReduce2 capacity on cloud-native infrastructure. Altus presents intelligent default cluster settings and environments that dramatically reduce cluster deployment times and operations, automating processes like cluster provisioning, configuring, and termination. ● Workload orientation - Cloudera Altus centers around data pipelines rather than clusters or infrastructures, so users can easily submit, clone, and troubleshoot pipelines with minimal attention paid to the underlying infrastructure. ● No data siloes - The Altus Data Engineering service enables data engineers to run direct reads from and writes to cloud object storage as does the rest of Cloudera’s platform. This data is immediately available for use by other Cloudera workloads without requiring data replication, ETL or changes to file formats. In doing so users can more easily incorporate data engineering into their data science, BI and real time DB applications. ● Backward compatibility and platform portability - Altus supports multiple versions of CDH the most widely used open source platform in the industry. Users can easily move workloads to and from the cloud without needing to modify their applications. Because CDH is backward compatible across minor releases, customers can harness the latest innovation from the Apache big data open source community without fear of breaking their applications from release to release. ● Built-in workload management - Altus automates and simplifies the common operational issues related to elastic data pipelines with workload management. Users can troubleshoot failed jobs with or without the clusters or compute infrastructure being present. In addition Altus’ workload management flags significant performance deviations and proposes a root cause analysis. In doing so customers can run their data pipelines with greater reliability and lower cost. The initial rollout of Cloudera Altus includes support for Apache Spark, Apache Hive on MapReduce2, and Hive on Spark. It is available today in most Amazon Web Services (AWS) regions. Over time Cloudera plans to expand Altus to support other leading public clouds such as Microsoft Azure, etc.